Description: Exnem's hotdog cart in Simlish. 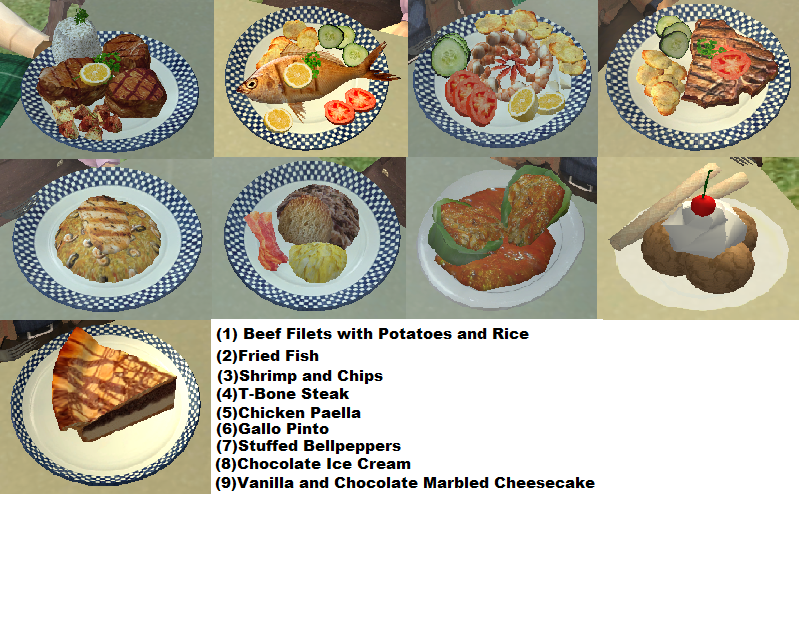 Description: A modified buffet that serves Latin-american food. 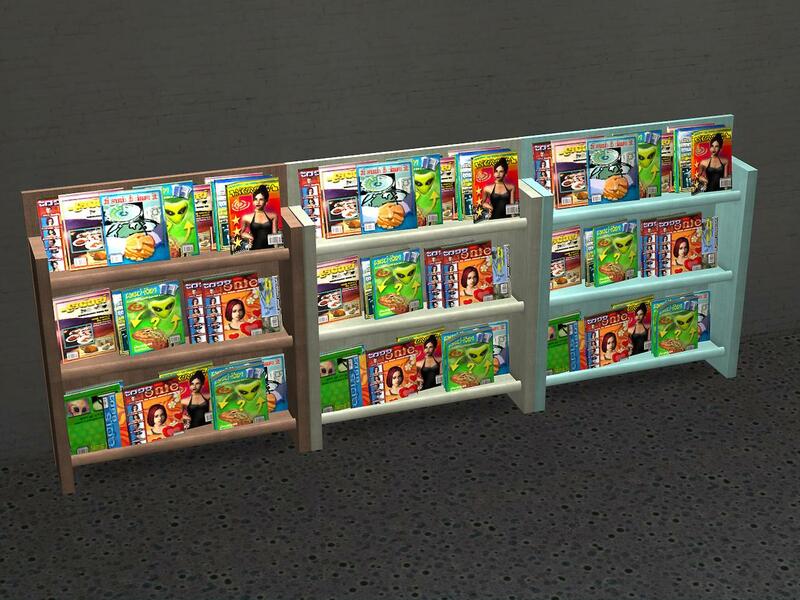 Description: One tile magazine rack. 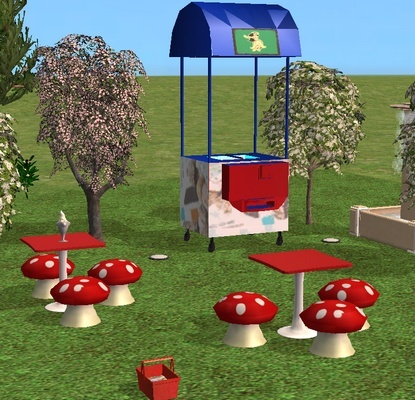 Description: Working ice cream stand and furniture. Description: Working fizzy drinks vending machine. 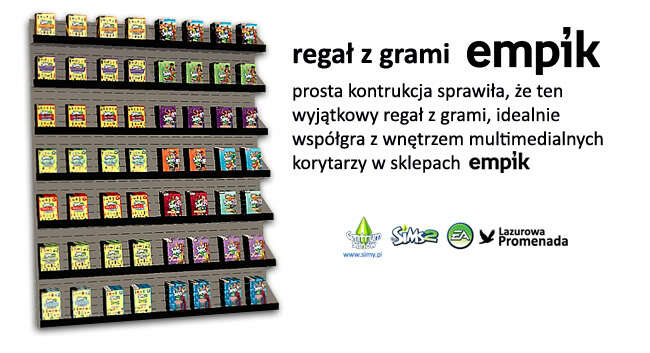 Description: Game rack from Empik store (Polish). 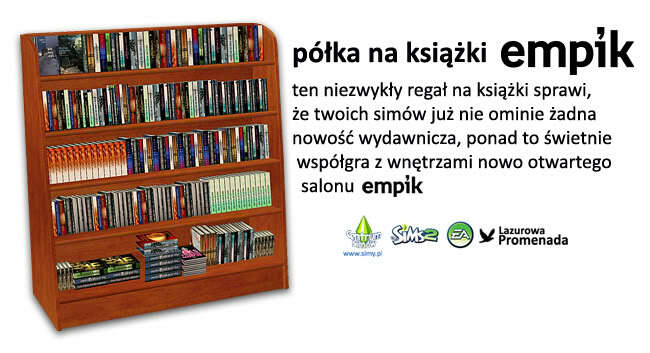 Description: Magazine rack by Empik (Polish). 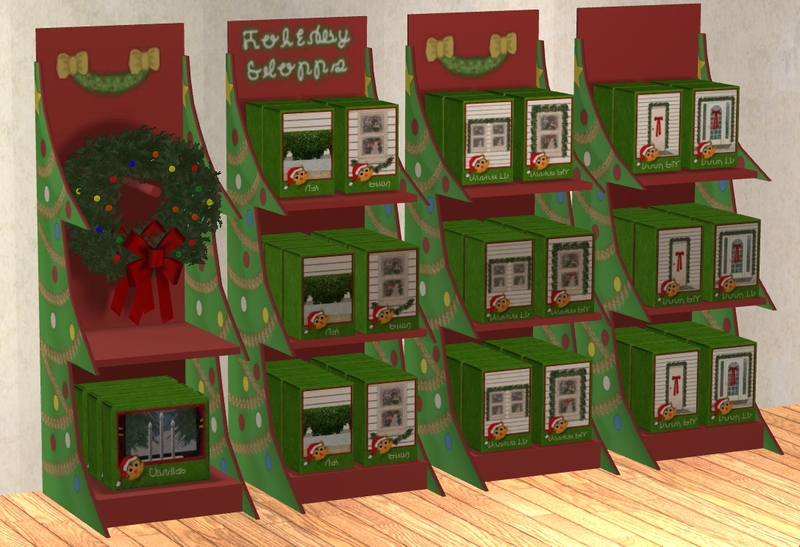 Description: A working stand that sells Christmas items. 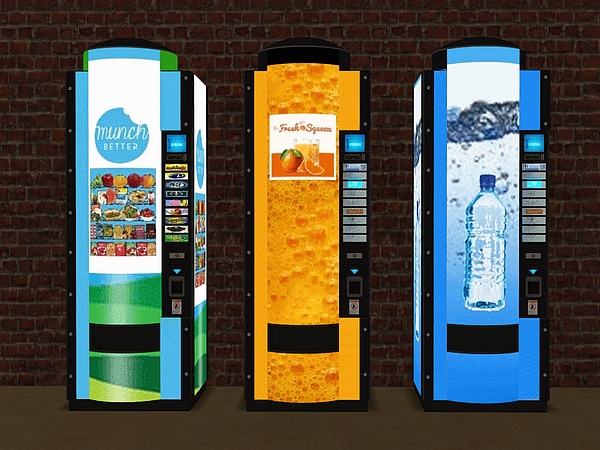 Description: Three recolours of Healthier Choice vending machines from Apartment Life. Description: One tile magazine rack recolours in Pirate Wood, Goat’s green and Robin’s Egg Blue. 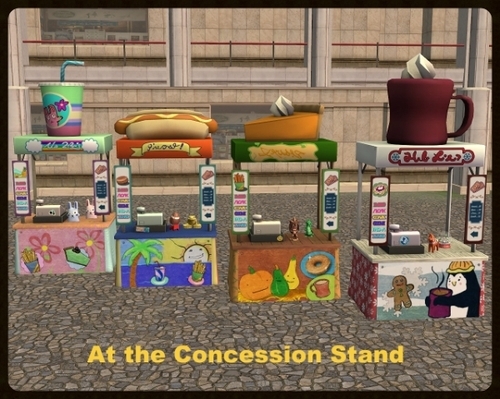 Description: Four concession stands from the Sims 3 Seasons. Decorative only, has two slots. 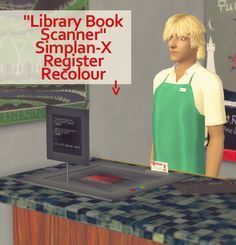 Description: A library book scanner that works as a cash register. 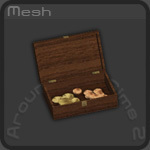 Description: Working fragrance display with a custom perfume. 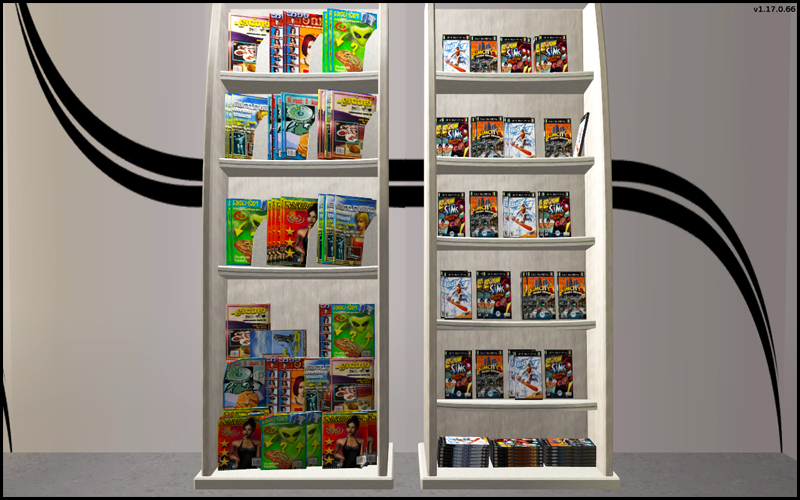 Description: Game and magazine racks in three colour options. 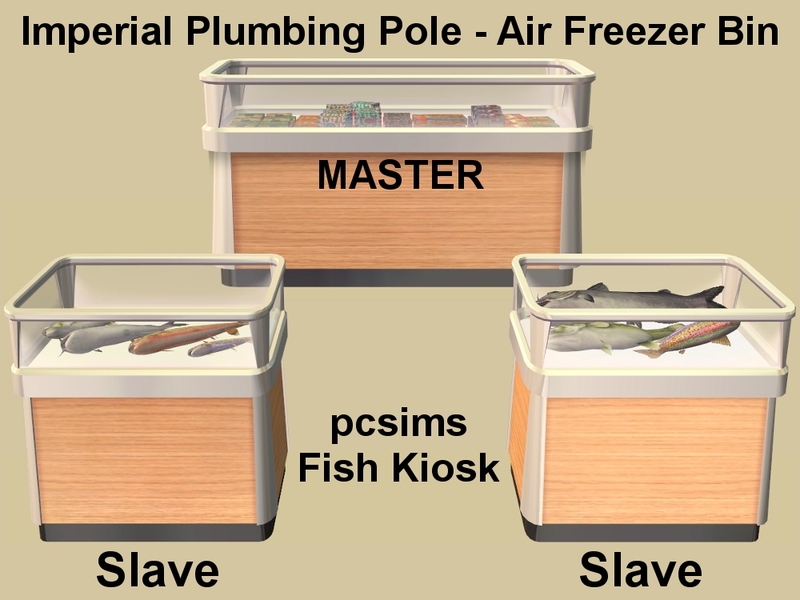 Description: Fish kiosk slaved to Imperial Plumbing Pole. 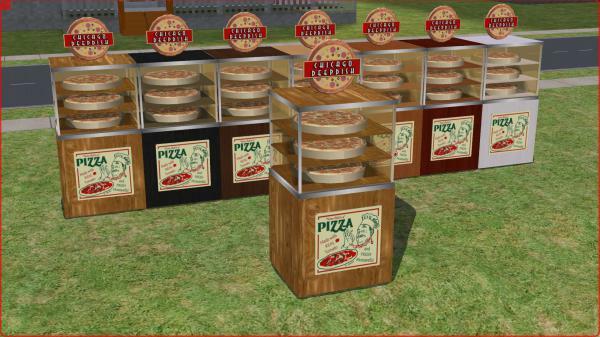 Description: Simconnection pizza display made recolourable. Decorative only. 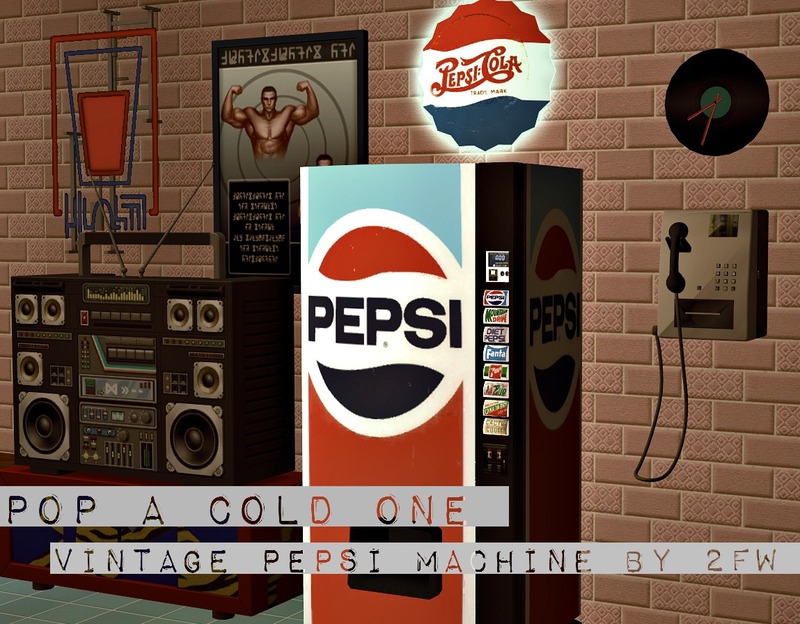 Description: A vintage Pepsi vending machine. 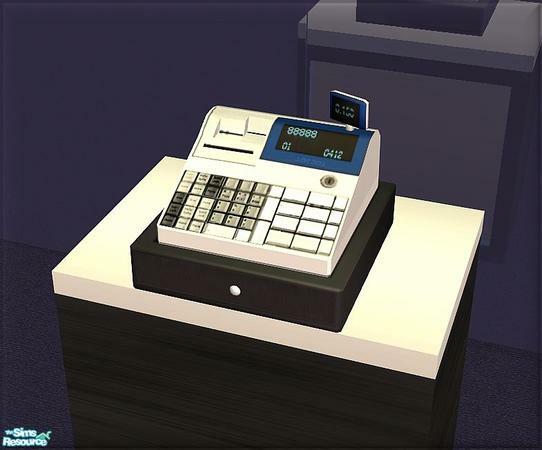 Description: An old-fashioned wooden cash register. 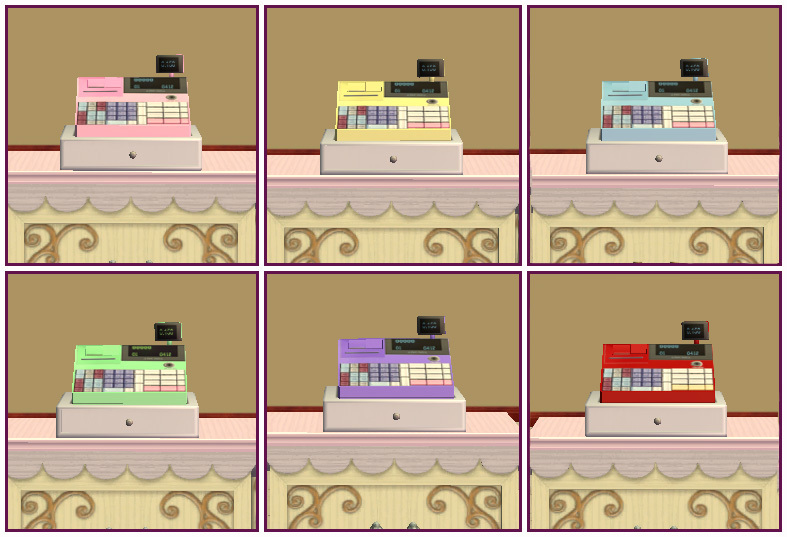 Description: Recolours of Sellafone Gadget Kiosk in AL Wood, MALM and LACK. 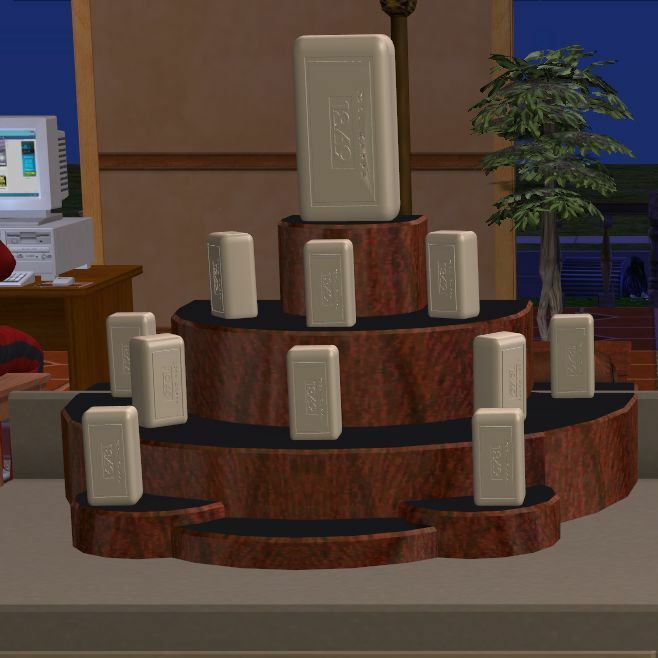 Description: Buyable and usable soap. Description: A small lollipop vending machine. Sims can buy, eat and give lollipops to each other. Two types of sweets. 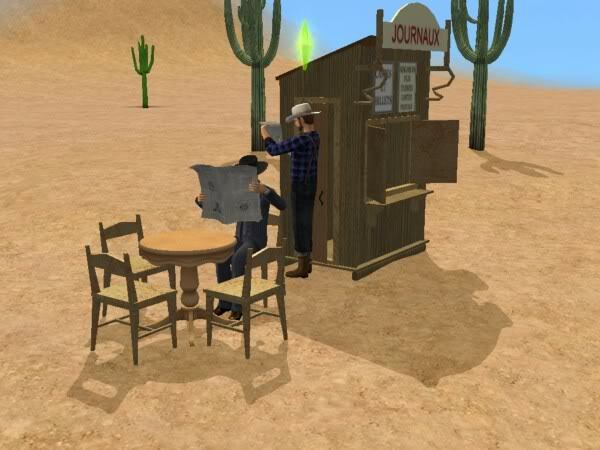 Description: An old-fashioned newspaper kiosk. 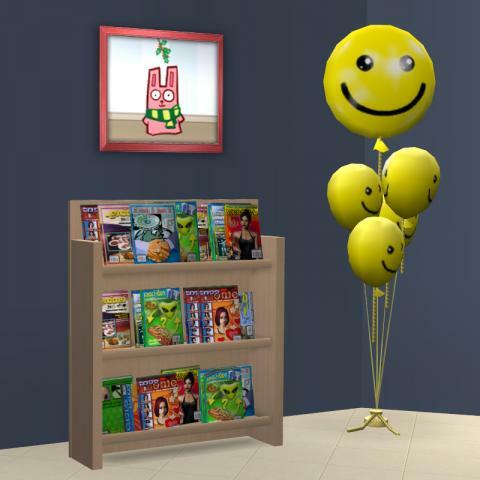 Sims can buy newspapers and magazines from it. 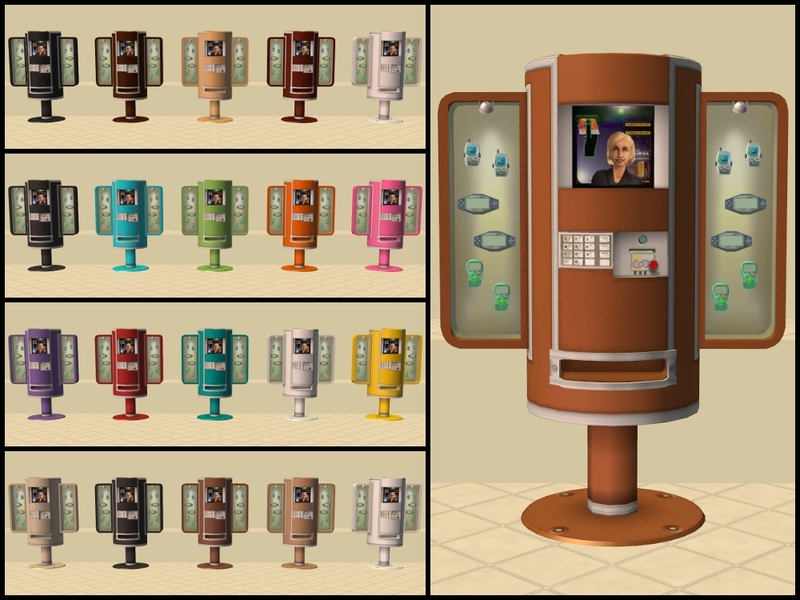 Description: A working newspaper vending machine. Newspapers sold are slightly modded.